People like Rob and Pat Haynes, who were forced into a government union because they receive Medicaid assistance to care for their disabled adult children, would have no practical way to escape the SEIU’s clutches if the scheme is enshrined in the state constitution come November. Now that millions of signatures have been submitted to the Secretary of State’s office, it appears there could be as many as seven different proposals on the ballot this fall. Many of them would benefit narrow constituencies at the expense of taxpayers. Perhaps the most egregious is a self-serving measure that would embed a one-sided government union scheme into the state constitution. Pitched as a way to help home health care recipients gain independence, the initiative is really about permanently expanding the definition of government employees and padding union coffers. Lawmakers thought they had put an end to this with a law that clearly states the caregivers are not government workers. But the SEIU filed suit in federal court, asking a judge to keep the money flowing. The arrangement first came about when the Service Employees International Union and Gov. Jennifer Granholm’s administration created a shell “employer” for tens of thousands of home-based caregivers. 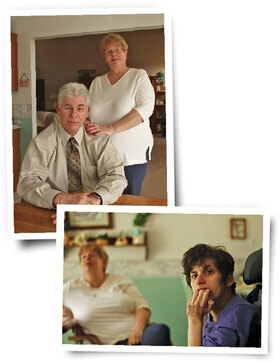 Many are family members caring for developmentally disabled loved ones who receive a Medicaid stipend. By labeling caregivers as “government employees” and by skimming off a portion of these payments as “dues,” the SEIU quietly has taken more than $30 million from Michigan’s most vulnerable residents. 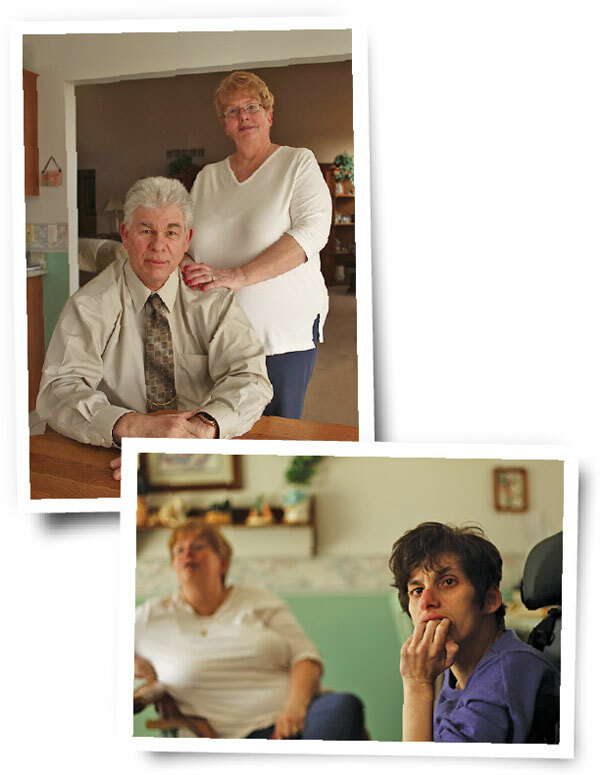 Robert and Patricia Haynes of Macomb Township are among those designated by the SEIU as government employees simply because the couple receives a Medicaid payment for the care of their developmentally disabled adult children. Melissa, 34, and Kevin, 30, have severe cerebral palsy, which significantly impairs their ability to speak and care for themselves. While the Hayneses have no objections to unions — Robert belonged to one as a Detroit police officer — they are appalled at the notion that one is purporting to represent them in their home and is skimming off money intended for their children’s care. The so-called state government employer of the Hayneses and 60,000 other caregivers is the Michigan Quality Community Care Council. This entity may be without precedent: it was not created by law or executive order; it no longer receives state funds; it cannot give its “employees” benefits or a raise; and it operates out of the director’s basement. The director, it should be added, was working only a few hours a week in order to collect unemployment benefits. Odder still, this ostensible employer is partially funded by the government union that it supposedly bargains against. Freedom of Information Act records show that the SEIU has paid the MQCCC $12,000. The SEIU appears willing to prop up the MQCCC to keep the lucrative arrangement alive. Lawmakers thought they had put an end to this with a law that clearly states the caregivers are not government workers. But the SEIU filed suit in federal court, asking a judge to keep the money flowing. The union’s argument? The attorney told the judge that as a “First Amendment advocacy organization” the union needs the funds for the upcoming election. This candor in the courtroom is not matched by the SEIU and MQCCC arguments made in public. The rationale they offer for amending the constitution is that they provide a registry for patients seeking qualified caregivers. Of course, the Michigan Department of Community Health could easily maintain such a registry without MQCCC or SEIU involvement. As it is, the seven-year-old registry contains a paltry 933 names — out of more than 60,000 providers. Michael D. Jahr is vice president for communications at the Mackinac Center for Public Policy, a research and educational institute headquartered in Midland, Mich. Permission to reprint in whole or in part is hereby granted, provided that the author and the Center are properly cited.